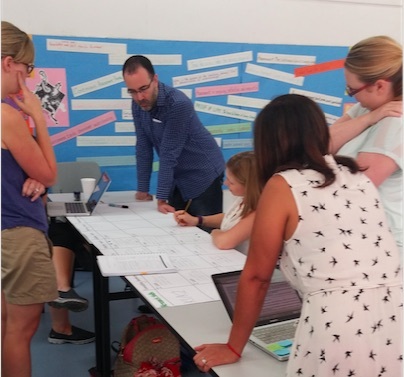 This article explores one school’s journey to ensure the approaches to learning, an element of the PYP, are planned for in order to strengthen the transdisciplinary nature of their programme. A few years back I shared a post on the PYP transdisciplinary skills, including reflective questions on the role of these skills in your school’s programme. Since then, my school has continued to reflect and grow towards strengthening this essential element of the PYP and have also included these skills, now referred to as approaches to learning, in our Strategic Plan. To begin with, we wanted our teachers to truly experience using approaches to learning. We set them off in groups with a task of building a versatile structure with 12 pieces of our Imagination Playground equipment. Afterwards, we reflected and discussed the approaches to learning needed to complete the task and what opportunities our students have to develop these skills. We then viewed ‘The 10 Skills Employers Most Want in 2015 Graduates’ in order to connect to our approaches to learning and think about the relevance of these skills for our students. After understanding how approaches to learning feel and acknowledging their importance as an programme element, we needed to know what each approach looked like. We considered two ways. One way is developmental and points on a continuum from kindergarten 1 to grade 5, identifying what each skill looks like on that continuum in an age appropriate way. A second way is in a vertical progression, leading to a defined end goal; identifying when we introduce the skill, consolidate and assess. With the decision to start with grade bands on a developmental continuum, small groups took one approach to learning and broke it down into descriptors. These drafts were then edited to read as ‘I Can’ statements and shared back with teachers for further edits. Following on from this work, we needed to review where these skills were found in our planning and teaching. Each grade level conducted a SWOT analysis on their current approaches to learning practices. We are now working on creating useful tools for our continued planning and documentation of approaches to learning. For example, our grade 2 team are documenting detailed notes on the identified skills for their unit which will aid in their report narratives. Our grade 5 team is continuing to plan purposefully for the approaches to learning when designing learning experiences and assessments. The PYP places importance on process as well as products. As a school, we are continuing our process of strengthening approaches to learning in our teaching and learning. 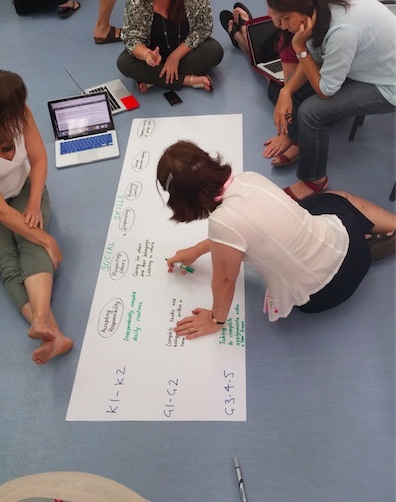 Next steps include the vertical work between our PYP, the MYP and the DP. We welcome your feedback on our shared process and products as we will continue to reflect on them as well. 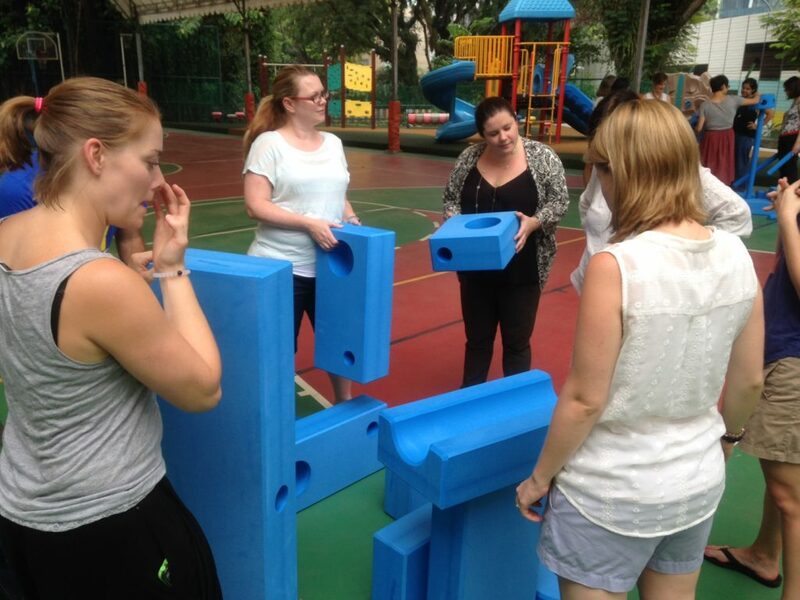 Sharyn Skrtic is the Head of Elementary School and PYP Coordinator at ISS International School in Singapore. 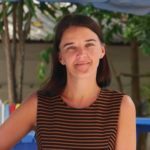 She is both an online and face-to-face PYP Workshop Leader and School Visit Team Member. Sharyn has presented at educational conferences, including The Association of German International Schools Conference, 21st Century Learning Hong Kong Conference, and the IBAP Global Conference in Macau. She tweets @shaza33. Let your students be the boss! I loved reading about experiencing what different ATL look like and breaking it as per the year group. we have been engaging with a similar exercise on breaking down science and social studies skills as per the IB curriculum. It’s a great way of helping the teachers see what it looks like at their year group and subsequently design engagements to incorporate and achieve these skills. I liked this ‘I can’ statement idea and will try and work further improve on our documents on these lines. Thank you! Hi Vandana, Thank you for sharing your feedback. Would love to see how you are working with the science and social studies skills! Would you be willing to share some examples of your I Can statements for a specific AtL? Thank you Hansraj for the read and comments. The I can statements are gold. I am about to take on a PYP coordinator role and my 1st step is to map out the skills within each year level. It is a great jump-off point for our staff to start thinking about Approaches to Learning. It’s a wonderful resource . Students can easily make connections to their learning.